Need Smart Lighting Control For Your Home in Oakland County Michigan? Smart lighting adds elegance, ambiance, convenience and energy efficiency to your home. Make your house appear occupied while you are away. Raise or dim any light in the room or the entire house with a single touch or using just your voice. Or have your lighting respond automatically to how you live. The possibilities are endless at the Sound Vision with our lighting control and motorized shades. We’ll also work with your designer to make sure the lighting and motorized shades are the perfect choice for your space. Combining your smart lighting control with Amazon Alexa is a match made in heaven. Easily set the scene for any time of day, or simply tell Alexa to turn the lights on when you have your hands full with groceries. It’s easy to control, it’s energy efficient, and best of all, you get the house you’ve always wanted. Give us a call for your FREE in home consultation. Smart lighting adds elegance, ambiance, convenience and energy efficiency to your home. Make your house appear occupied while you are away. Raise or dim any light in the room or the entire house with a single touch or using just your voice. Or have your lighting respond automatically to how you live. 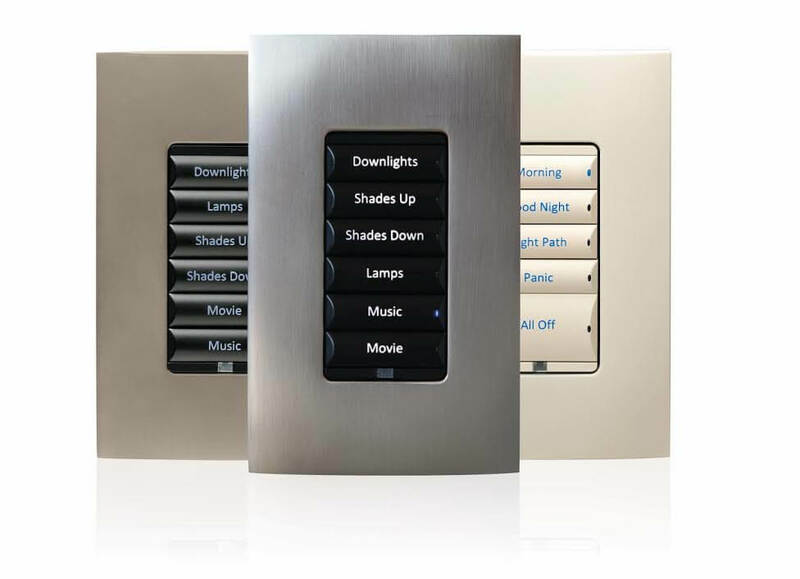 The possibilities are endless at the Sound Vision with our lighting control and motorized shades. Have a designer that you’d like us to work with? Not a problem. We’ll make sure the lighting and motorized shades are the perfect choice for your space. By connecting all of your homes lighting to a control system you have the ability to eliminate the need for having large banks of light switches on the wall. One lighting keypad can control an entire kitchen worth of lights. By utilizing scenes instead of individual light loads you can create the perfect environment for any activity or occasion. These keypads are conveniently engraved and backlit so you know exactly what each button does. Gone are the days of walking through your house guessing what each light switch controls. The Sound Vision can take the hassle out of the dated blinds and upgrade you to affordable, amazing blinds that retract at the touch of a button. No matter what size windows, we can help provide the right privacy for your family. Our shades can adjust their position based on the suns position. Have a question about lighting control and shades?